Before you reserve your seat for orientation, have you done the following? Advisors will use these scores to determine the class level to put you in. If you have credits from other colleges that you would like to transfer to us, please make sure that you have had those transcripts sent over in advance. You may contact the Records office at 269-294-4240 to confirm that we have received them. 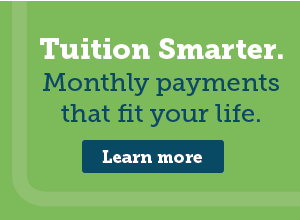 If planning to use financial aid (loans, grants, ect.) you will need to have submitted a FAFSA application on fafsa.ed.gov at least two weeks before coming to orientation. This allows time for processing. I am not using financial aid to pay for my courses. Failure to complete these steps may hinder you from being able to register for your semester classes! The admissions office will do follow-up calls before your registered orientation date. Continue to the next page to complete your orientation registration process. More orientations will be available throughout the spring and summer. Winter Students need to attend by December 21st. How many guests will be accompanying you? Please check back periodically for additional dates to choose from.